CYPRUS property sales continued to rise in January, with the number of sales contracts deposited at Land Registry offices in the Republic rising by 10 per cent compared to the same month last year. With the exception of December 2018, when sales fell by 48 per cent due to the rush to buy land in December 2017 before the government introduced VAT on land sales, the number of property sales has increased for the 21 consecutive months. January 2019 saw a total of 766 contracts deposited at Land Registry offices for the sale of commercial and residential properties and land compared with 695 in January 2018; a rise of 10 per cent. Of those 766 contracts, 409 (54%) were deposited by Cypriots and the remaining 357 (47%) by non-Cypriots – 107 by EU citizens and 250 by non-EU citizens. In percentage terms, Paphos lead the way with sales up 14 per cent followed by Limassol, where sales rose by 12 per cent. Meanwhile sales in both Nicosia and Famagusta rose by 10 per cent, while sales in Larnaca rose by 2 per cent. Domestic sales rose 33% in January 2019 compared with the same period last year, with sales rising in all districts with the exception of Larnaca, where they fell by 10%. Sales in Paphos, Limassol and Nicosia rose by 67%, 55% and 1% respectively. Unfortunately the January 2018 figure for Famagusta cannot be calculated as the Department reported that overseas buyers deposited 3 more contracts than the total number of contracts deposited. Property sales to the overseas (non-Cypriot) market during January 2019 fell 8% compared to the same month last year with 357 contracts of sale deposited compared with 387 in January 2017. Although sales in Nicosia, Larnaca and Paphos rose by 70%, 15% and 8% respectively, they fell by 59% in Famagusta and by 28% in Limassol. Property sales to EU nationals rose 19% compared with the same month last year. With the exception Famagusta, where sales declined 40%, they rose in all the other districts. 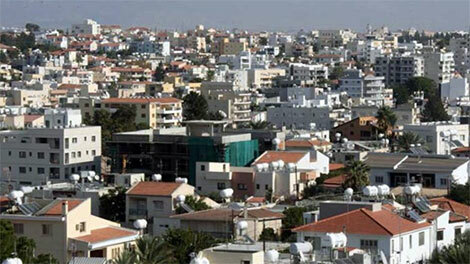 Nicosia led the way with sales rising by 40% followed by Paphos, where sales rose by 37%. Sales in Larnaca and Limassol rose by 33% and 7% respectively. Sales to non-EU nationals fell 16% compared with January 2018. While sales in Nicosia doubled and sales in Larnaca rose by 12%, they fell in all the other districts. Sales in Famagusta fell by 67%, while sales in Limassol and Paphos fell by 33% and 4% respectively. 1 The Department of Lands & Surveys has advised that overseas sales in 2018 and subsequent year should not be compared to sales in previous years due to changes in the methodology used to classify ‘Aliens’ (foreigners). @Pils & Peter Howard, I have spoken to many agents in paphos region over the last 8 months or so, all I can say is that things are pretty good for them, did not hear any complain. Ed: I’ve zapped part of your comment. The person you’re looking for can be easily found using Google. Re Pils and uninformed comments about property sales in Peyia. His independent report was way adrift when it suggests only 18 sales a year – ridiculous. Anyway why worry about what happened 6 years ago – any reputable agent will now tell you, that it is difficult to find good value properties to sell in the Peyia area -I am a fully licensed agent and have advertised for more properties to market in Peyia – without result. I know of one agent who sold more than 20 properties in Peyia last year alone. The property market is doing very well here in the Paphos area, but it is becoming more difficult for reputable agents to find good quality property to market. Good news that property sales are increasing in Paphos area overall, but regions of Paphos i.e Peyia are flat or non existent. Sales in Peyia from 2013 to 2016 via independent report was 54 sales in 3 years. Has Peyia improved sales from 2016. With reports of increased new development projects in Peyia and some surrounding areas not all regions of Paphos is looking rosy. Ed: Unfortunately the Department of Lands & Surveys does nor provide an analysis of sales in specific areas of the districts.